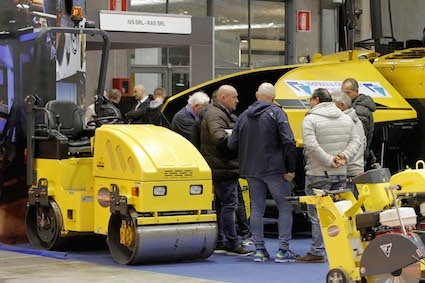 The Italian trade show Samoter, held at the Verona Exhibition Centre for the first time with Asphaltica and Transpotec-Logitec, under an agreement between Fiera Milano and Veronafiere, attracted 84,000 visitors from 84 countries over the show’s four days. There were 780 exhibitors from 25 countries, in 10 halls and six outside areas covering the three shows. The Under-secretary for infrastructure and transport, Umberto Del Basso De Caro, said during the inauguration that they combined to highlight key sectors for the development of Italy. "The decision to work together, build a system and activate synergies with Veronafiere has certainly borne fruit, given the results achieved by the three events," said, Fiera Milano president Roberto Rettani. 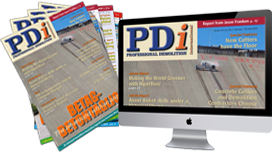 “This edition of Transpotec confirms the approach taken by Fiera Milano three editions ago. Facts and figures, optimism and overall satisfaction clearly evident in the halls confirm the event as the most important and well-attended business opportunity for sector operators in Italy. “The interest shown by visitors to the show in the exhibits often turned into contracts and is the result of recovery and new awareness among operators, but also a sign of willingness to renew fleets, thereby making an effective contribution to the development of the entire country system in terms of efficiency and environmental sustainability." "Our goal as trade show organizers is to develop events capable of being effective business and promotion tools at the service of the entire sector,” said Veronafiere president Maurizio Danese. “The construction machinery sector in recent years has experienced one of its most serious recessions ever and Samoter 2017, together with Asphaltica, was consequently a major challenge involving a great deal of responsibility for the 450 companies who, with us, believed in the project to re-launch the format initiated in 2014. The return of several major brands, significant business on the stands, more and more qualified operators and expansion of international buyers, confirm the success of Samoter number 30 and we are already looking forward optimistically to the next edition."